The Sustany® Foundation supported the Hillsborough Community College Beyond Sustainability Conference- Emerging Models of Financing, Investing, and Savings with a mini grant this Feb. 28–March 1, 2014. Conference topics included time banking, green revolving funds and sustainable endowments. The conference had six panels, keynote addresses, and networking opportunities. Edgar Cahn, Distinguished Emeritus Professor of Law at the University of the District of Columbia Law School and founder of the national time banking movement. Dr. Christine Gray, former CEO of TimeBanks USA. Mark Orlowski, Sustainable Endowments Institute Founder and Executive Director. 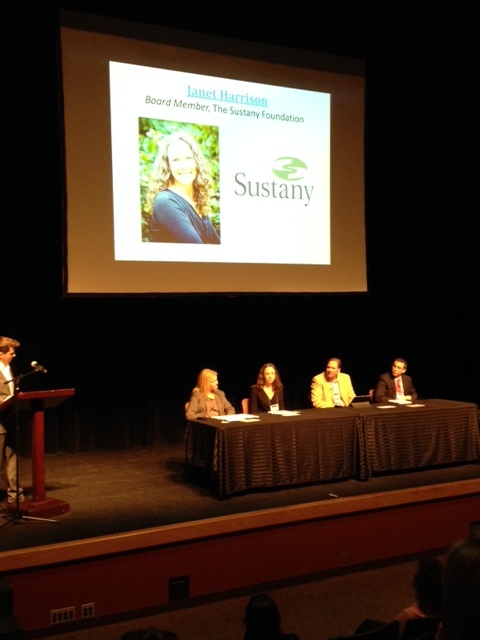 Sustany® Foundation Board member Janet Harrison spoke about her work as a sustainability consultant and the Sustany® Sustainable Business Program on a panel entitled 21st Century Green Investments and Portfolios: Case Studies. Sustany®’s mini grant also enabled Sustainable Business Program sustainability specialists to attend the conference and represent UT and USF.